The Spires Four Pillars hotel in Oxford played host to a fun filled night of evening entertainment in the shape of our Executive Quiz Night, which was to provide Nuffield Health with a fun filled and competitive end to their day of conference. With the Team Challenge Company winner’s trophy up for grabs, our teams were on the edge of their seats waiting to kick of the first round before dinner. We began the evening with Hit or Miss where our guests did their best to identify the UK chart topping songs being played in a bid to grab the first set of points on offer! Richard’s Chicks and Team Tequila got off to a flying start after their starter - both stacking up an impressive score in the Guess Who round. For the Love of Strawberries got off to a slow start alongside a few others who stumbled a little when our Guess The Landmarks round proved to be a bit tougher than the first question would have them believe! Next up came the Movie Round, and our teams guessed at photos of scenes from famous movie moments, all of which went down a storm with the crowd, and there really was nothing in it at the top of the leader board as we moved into our final few rounds. General knowledge saw some of our teams reaching for their phones to consult Google however these cheaters were soon named and shamed! Name the Tune was our final round of the evening which saw our guests from Nuffield Health racking their brains in order to identify the song by the first few bars. Iggy Pop and The Prodigy had our teams rocking and raving as it proved to be the most competitive and entertaining round of all! As our guests danced out the last song, our final scores were counted and verified, In last place, taking home the infamous Wooden Spoon was Team Tequila! In 5th place it was Team Costa. 4th place was Nuffield Newbies impressing the rest of the group! In 3rd were Richards Chicks! 2nd place went to Small and Mighty In the end it was For The Love Of Strawberries who took away the famous Team Challenge Company Trophy in 1st place! A huge thank you to Beth and Cathy for organising such a successful evening. We hope to be seeing you all again soon! Congratulations to our winners of the evening! 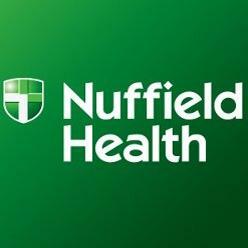 Thanks everyone for another great day with Nuffield Health. I hope we see you all again soon.